Alex-D is a retired detection canine from the United States Border Patrol. Alex-D is an 8 year-old German Shepherd who worked in the Tucson Sector from September of 2009 until his retirement in September of 2016. In January of 2019, Alex-D developed health issues with his testicles and he needed to be neutered. Retired Paws is happy to assist paying for his surgery. We are wishing him a speedy recovery and a long and happy retirement! Please donate now to help canines like Alex-D! 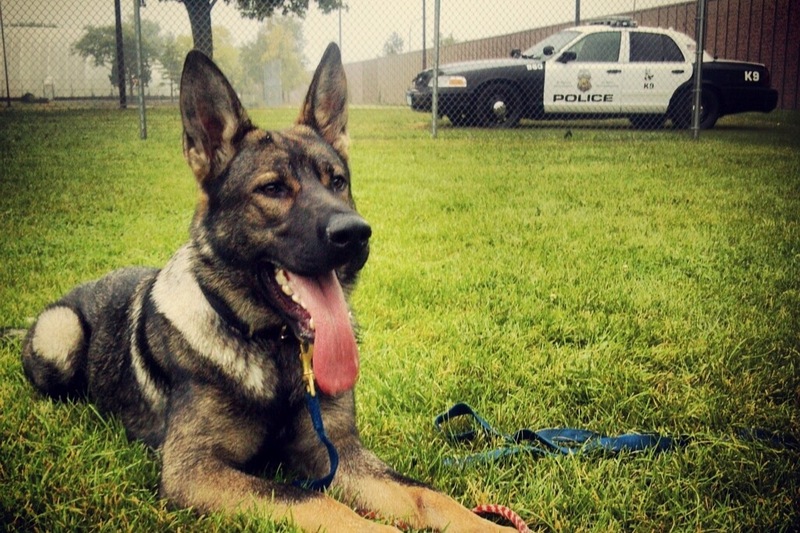 Retired Paws would like to introduce retired Redding Police Department (CA) canine, Tarro. K9 Tarro served his community from May of 2010 until his retirement in January of 2016. 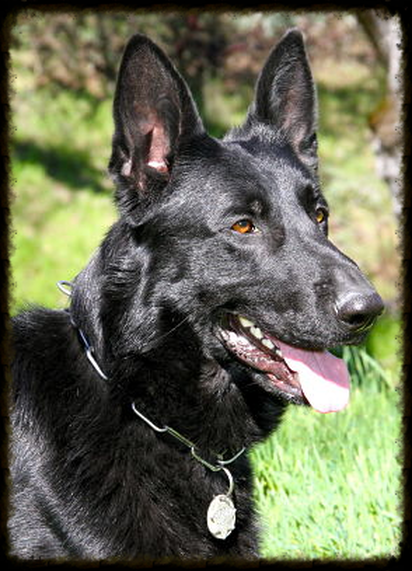 Tarro is a 10 ½ year old German Shepherd who was extremely successful with his handler. 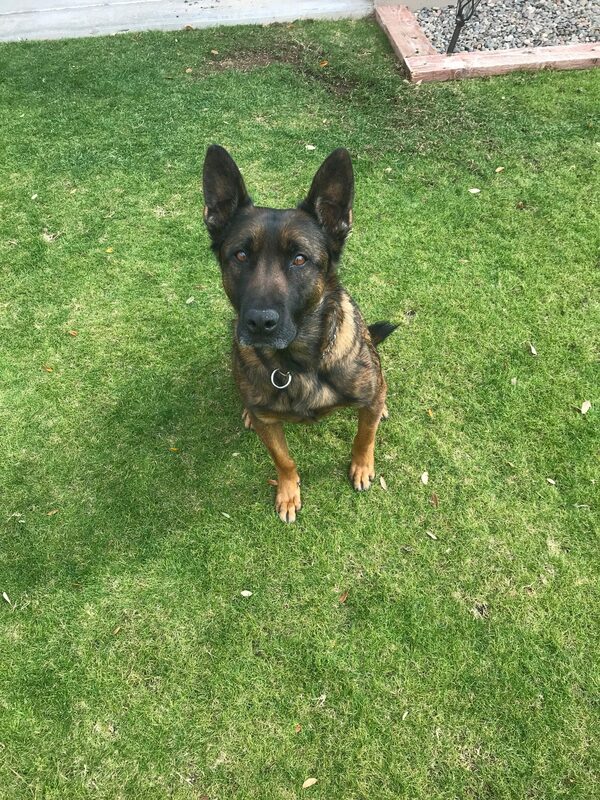 Tarro was certified in patrol, tracking, narcotics and was a member of SWAT. How badass is this dog? Tarro was responsible for hundreds of arrests and large amounts of narcotic seizures. Unfortunately, Tarro developed some complications after being neutered which required further medical care. Retired Paws is happy to assist with these costly medical bills. We are pleased to say that Tarro is doing well and is expected to make a full recovery. Please donate so we can continue to assist retired canines like Tarro!! 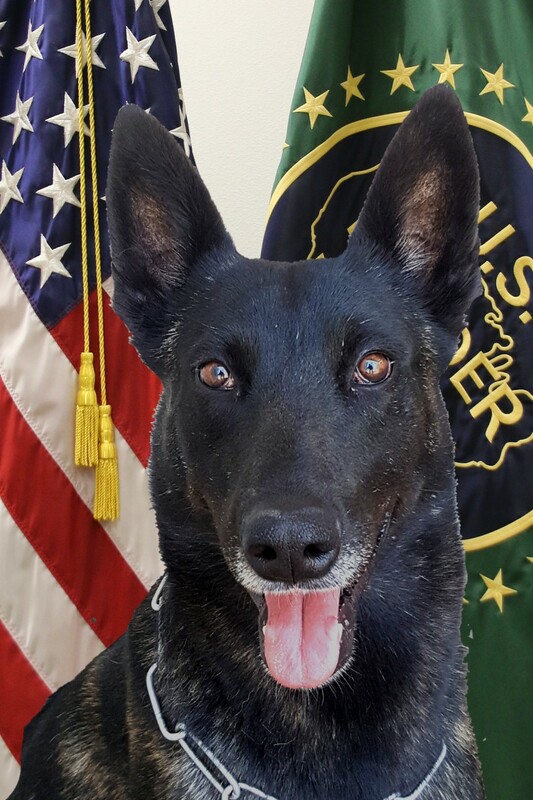 Retired Paws would like to introduce retired United States Border Patrol detection canine, Quinta. 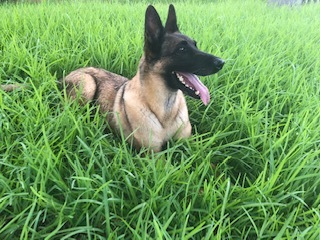 Quinta is a 9 year old, female Belgian Malinois who proudly served her country from April of 2011 until her retirement in August of 2018. Quinta was retired after developing severe spondylosis. She is doing well in retirement, but her pain medication can be quite costly. Retired Paws is happy to assist Quinta with her care. Please donate to help canines like Quinta. 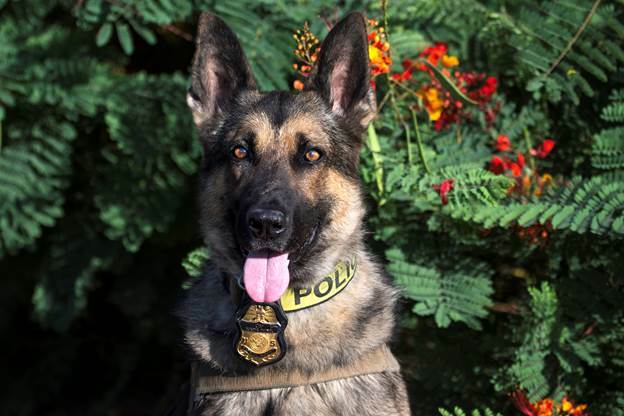 Bux, a retired United States Border Patrol detection canine, passed away on January 2, 2019, after developing seizures and being rushed to the emergency vet. He crossed the rainbow bridge with his human family by his side. Bux worked in Texas from March of 2014 until his retirement in August of 2018. He was a fantastic partner, working dog and friend. Retired Paws always hates receiving these types of requests for assistance, but we are glad we can be there in these difficult times. 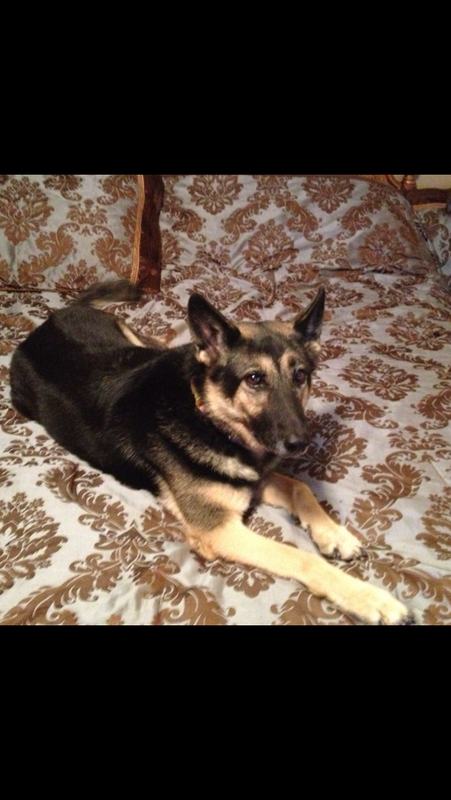 Your donations help canines like Bux. Thank you for your support. RIP Bux, you will certainly be missed. 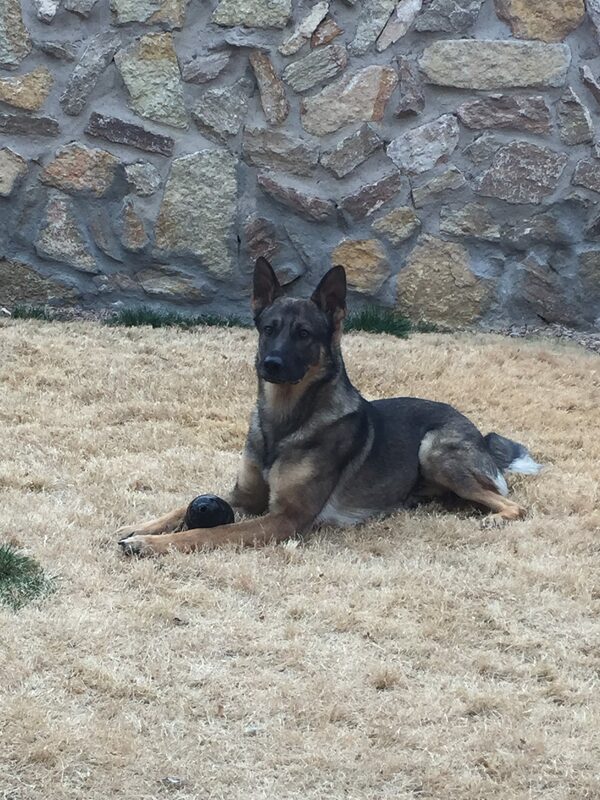 Retired Paws would like to introduce retired Pima County Sheriff’s Department (AZ) canine, Joran. Joran was utilized for both patrol work and narcotic detection. He proudly served his community from July of 2013 until his retirement in November of 2018. Joran requires costly prescription dog food as well as medication to maintain a healthy and happy retirement. Retired Paws is happy to assist him with his care. Please donate to help canines like Joran! Ronnie-D was a retired detection canine from the United States Border Patrol. He proudly served in Yuma, Arizona from March of 2010 until his retirement in November of 2017. He was an incredible working canine, loyal friend and partner. Unfortunately, on November 22, 2018, Ronnie-D suffered from bloat and was rushed to the emergency vet’s office. He was not able to recover and it was in his best interest to have him peacefully cross the rainbow bridge. Retired Minneapolis Police Department dual purpose canine Gunnar served proudly from May of 2013 until his retirement in May of 2015. 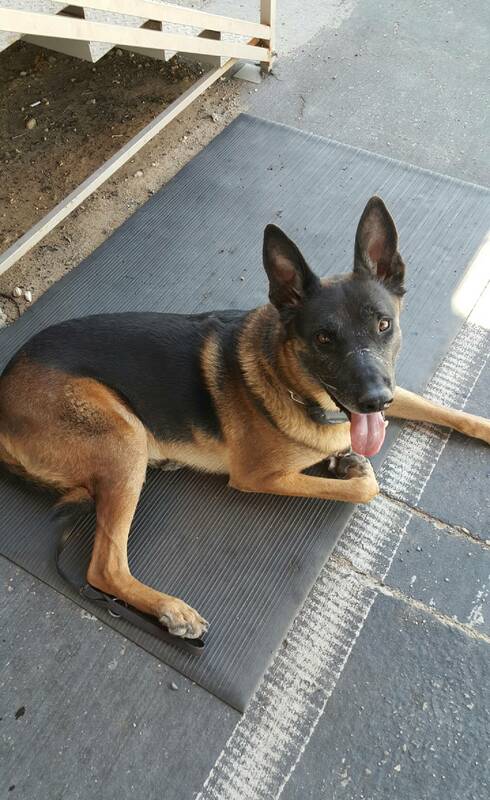 Recently, K9 Gunnar fell ill and was losing a lot weight. On October 30, 2018, an ultrasound was administered where a mass was discovered on his spleen along with two more masses on his lower intestines. Emergency surgery was conducted to remove his spleen and to conduct six biopsies. We all know that routine veterinary care can be expensive, so it is no surprise that emergency surgery to remove his spleen was a big financial burden to K9 Gunnar’s family. Retired Paws was happy to pay for this surgery. Unfortunately, K9 Gunnar was diagnosed with small cell lymphoma in his lymph nodes, small intestine and liver. K9 Gunnar is only 6.5 years old and is a fighter; he began chemotherapy to aggressively treat the cancer. We are all rooting for K9 Gunnar and wish him the best of luck during his treatments. We are hopeful that with his young age and fighting spirit, he will beat this terrible disease. Please donate to help canines like Gunnar! We can’t keep assisting these retired heroes without people like you. Brix is a retired detection canine from the United States Border Patrol. 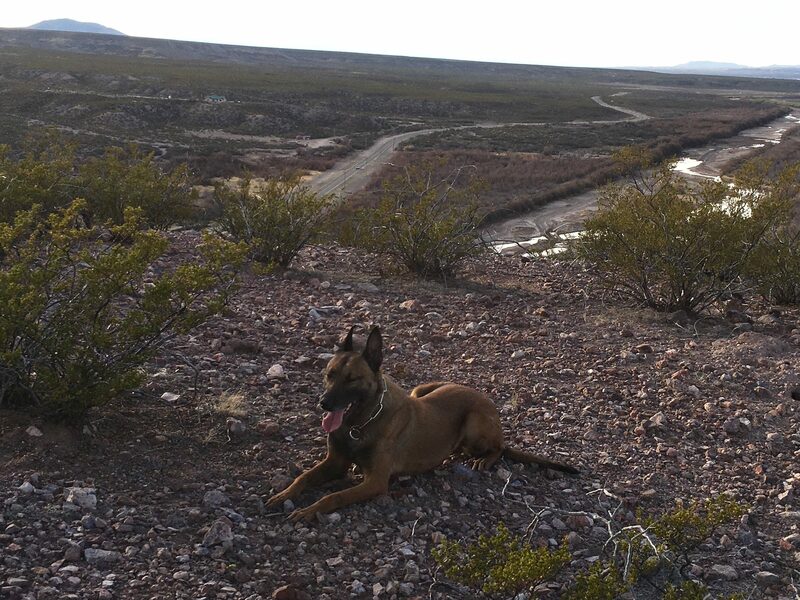 Brix worked in the El Paso Sector from September of 2016 until his retirement in August of 2017. Although, Brix only worked for a short amount of time, he was a very successful. Brix was responsible for the seizure of over 450 pounds of marijuana and $15,000.00!! Brix was retired after an injury to his back causing lameness and pain to his hind quarters. He is now enjoying his retirement living with his human family. Brix was recently diagnosed with Pannus and is undergoing treatment. Retired Paws is happy to pay for Brix’s medication for Pannus. Please donate to help canines like Brix.